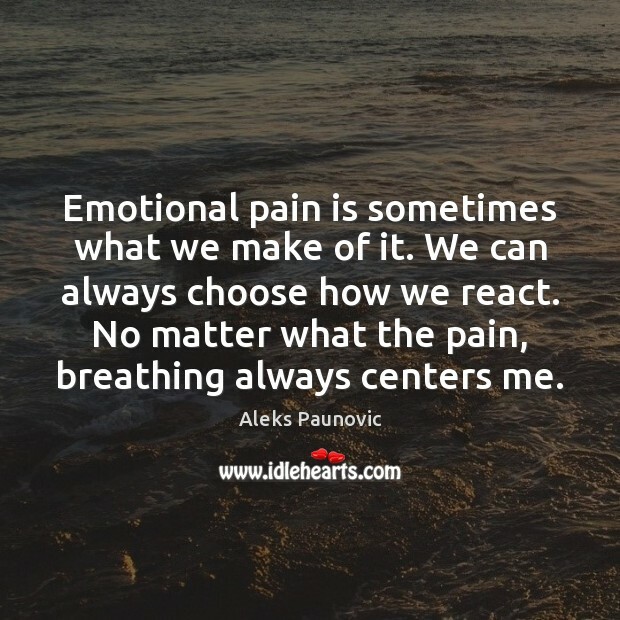 Enjoy the best inspirational, motivational, positive, funny and famous quotes by Aleks Paunovic. Use words and picture quotations to push forward and inspire you keep going in life! Stripping away my ego and accepting my truth even if it's not who I want to see. Makes me want to be better when it's exposed. It's very vulnerable and exhilarating. I come from a boxing background. Three generations of boxers. I personally hate to fight, but I love the science of boxing. Mind, body. 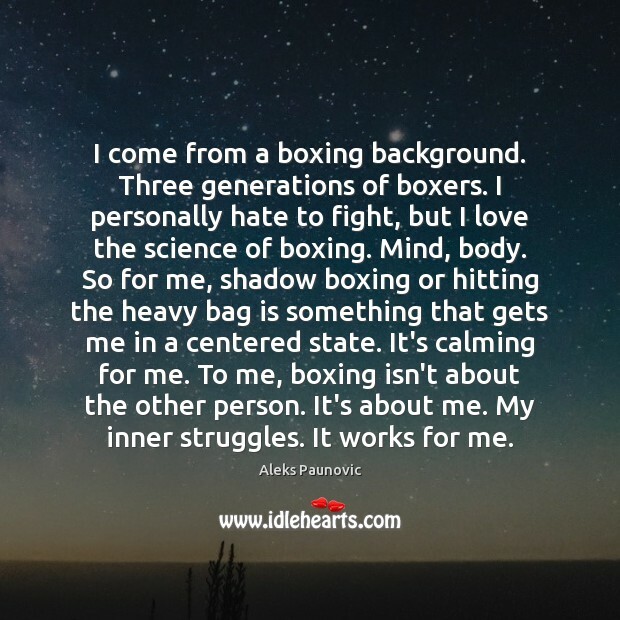 So for me, shadow boxing or hitting the heavy bag is something that gets me in a centered state. It's calming for me. 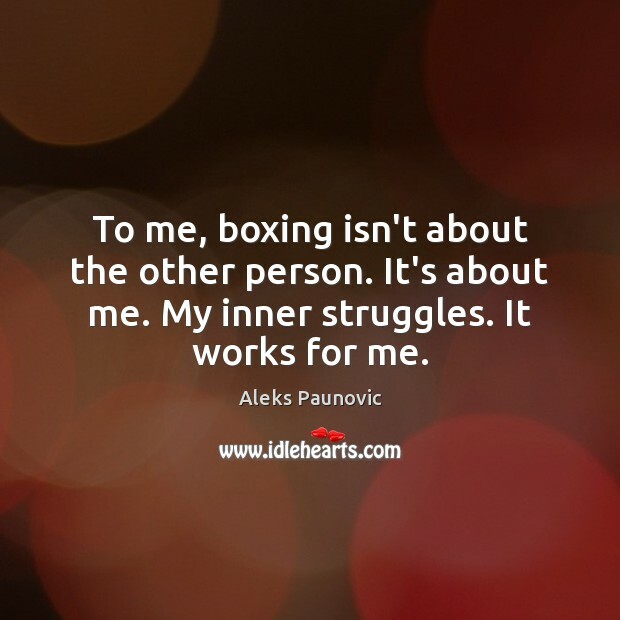 To me, boxing isn't about the other person. It's about me. My inner struggles. It works for me.